Ah, the Halcyon days gone by! 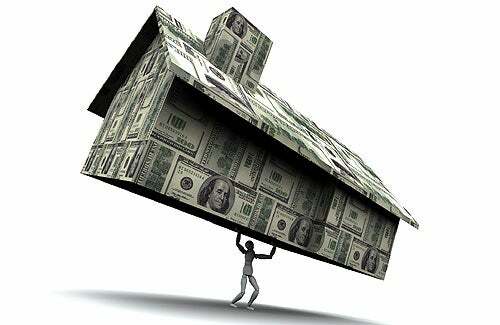 Interest rates drop, mortgage activity picks up and home sales get a helping hand. Those days are over, my friends. Perhaps you spent the last eight months in a housing-bull induced trance. Steady drum beats can be hypnotic. Here is theirs: Massive investor buying, steep price drops of 30%; steep price drops of 40%, steep price drops of 50%; affordability index at all time high. Housing recovery must be just around the corner, hear the drums, just around the corner. But, though drumbeats can mobilize and sometimes unify, in the end, action on the field counts most. And in the real estate market field, the action has stopped. Nationally, neither sales nor prices indicate a true bottom yet. While the S&P/Case-Shiller home price index, released Tuesday, rose 3.6% for the quarter ending in June, prices remain 5.9% lower than last year on an annual basis. Even some housing bulls are now punting the recovery ball forward to 2012. But there are others who argue that with mortgage rates at historical lows, the market must have reached bottom and will begin to turn upward soon. Under normal, historical conditions steep declines in mortgage rates translates into increased sales and pricing. However, we are not in normal times. The massive de leveraging which necessarily must go on; the numbers of foreclosures which are inevitable and which must be worked through; and the fact that there simply are not enough qualified buyers to purchase the large supply continues to weigh heavily on this market. Until the economy picks up, thereby kicking up incomes and employment; and until the backlog of foreclosures has been absorbed, we cannot expect to see a significant increase in buying or pricing. Let’s take a closer look at why these historically low rates remain an impotent catalyst this time around. One problem is that the, regardless of mortgage rates, and subsequently lower monthly payments, there are simply not enough qualified buyers to take out loans. New guidelines are in place which have removed a large swath of potential buyers from the market entirely. For example, stated income loans with 0 down payment and extremely loose guidelines enabled many people to qualify for loans for which many would not qualify today, and many should not have qualified back then either This created a larger pool of home buyers, to buy a larger pool of homes. Now that pool of buyers has shrunk, though the pool of homes remains the same. Market forces alone, of supply and demand, would indicate prices have further to fall. Further, in order to qualify for a loan, a house has to appraise for the agreed upon purchase price. This was rarely an issue during the boom, but is frequently a problem today. Finally, economic trends in general are conspiring to pull prices down. With unemployment rates still high; and uncertainty surrounding the health of the fledgling recovery, consumers are not in the mood to buy a new home. Our national residential real estate market remains like an old tired elephant mired in mud. Slowly, with enough effort and time, he will slog his way through the muck. But it wont be fast or pretty. Has the steep drop in rates given a boost to the refinance market? Homeowners struggling to pay bills and hang onto their house, thereby avoiding foreclosure and adding to the inventory sledge ought to get some relief from low rates. Have they? Not as often as you might think. This is because even if they have the credit, income and assets required, a low appraisal comes in and the great 4.25% rate and new loan can’t be done. So what can we expect in the future? President Obama is rumored to announce a Freddie and Fannie refinance package soon. I believe it’s similar to my ideas in my Freddie & Fannie articles. However, would this solve the extreme inventory problem this country has, no it won’t. Government can’t create more qualified home buyers. We all know what happened when guidelines were eased up to get more home buyers into housing. So, this can never be a option for this country. We just need more time to bring down this massive inventory. Don’t be fooled by the 9.4 month supply often cited. When one takes into account the numbers of property in distress, and likely to hit the market, the real true inventory is years not months. Our national residential real estate market remains like an old tired elephant mired in mud. Slowly, with steady forward motion, and enough time, he will slog his way through the muck. But it won’t be fast or pretty. And while I am in the mortgage business, and write commentary on housing, it is clear to me that this slow grind back to financial health is not just a housing problem but our country’s problem as well. However, we are Americans and we can endure. Rather than lose heart, we should instead be prudently building setting a stronger foundation for the next 100 years. I have faith that in the longer run the American people will prosper because we can learn from our mistakes. Logan Mohtashami is a senior loan officer at his family owned mortgage company, AMC Lending Group, which has been providing mortgage services for California residents since 1988.